It feels odd to throw the word “applied” in front of ethnomusicology. That is, it seems natural enough for the implication to exist regardless of the prefix. Why is it that the applied sector needs to be separate from all-things-academic or “intellectual”…? They seem to go hand in hand – one flows out of the other, or so I’ve thought. If I were giving my own elevator speech, you know, the one-minute answer to the question, “What do you do?” I would never insert the word “applied,” even though I would definitely categorize my work that way in my head. There are too many implications to it – or maybe that’s in my head, too. Our work has an impact on the communities we study regardless of the final product. Not sure why this is on my mind today – the whole thing seems as silly as the supposed distinction between musicology and ethnomusicology. Street Musicians in New Orleans. My thesis topic. Through the lens of R. Murray Schafer‘s 1977 concept of the soundmark, I’m mapping street musicians in two New Orleans neighborhoods and simultaneously telling the story of their experiences. If I were to tag this project with key words it would be: street musicians, migrant street kids, NOLA, urban studies, tourist mapping, ethnography, oral history, and French Quarter fixtures. Where am I now? Fieldwork is done. Prospectus is done. Writing in progress. Black, Queer, and Bouncing in New Orleans. I’m researching the phenomenon of Sissy Bounce, which refers to a group of queer-identified hip-hop artists in New Orleans (notably most of them hate the term so I will not use it to define the genre which should just be under the umbrella of ‘Bounce’, simply the artists themselves and their identities). I’ve been officially doing fieldwork for this project for about fifteen months, however it will be ongoing for quite a while. Issues of access and identity continue to arise. A couple of months ago, I presented a paper called, ““Is that thug wearing heels?” The Negotation of Identity in Sissy Bounce” at the 2011 Southern Graduate Music Research Symposium as part of a panel on liminality (what the hell does it mean to “negotiate identity” anyway?! I’ve since slapped myself for using this title per my advisor who made me [and others] realize it was an idiotic and empty phrase). I recently submitted an abstract to the Society of Ethnomusicology‘s Southeast and Caribbean regional chapter (SEMSEC) called “Big Freedia “the Queer Diva”: Black, Queer, and Bouncing out of New Orleans”. I’m keeping my fingers crossed that it gets accepted so I can present the paper at SEMSEC’s annual meeting, which is being held this year in the Dominican Republic (kudos to whomever had that brilliant idea!). The first presentation was my attempt to introduce the Sissy Bounce phenomenon to the musicological community, and also my first attempt at a conference presentation! I was happy with both my paper and my presentation of it, though of course looking back there are a few things I would have added/modified. In this second presentation, I’ll be narrowing my topic to a case study of one particular artist, Big Freedia “the Queen Diva.” There are obstacles here as well. Once a local artist performing in dive clubs around town, Freedia’s popularity has shot through the roof and she’s now on an international touring circuit with looming rumors of a reality TV show. Access, access, access. As a whole, I’m not sure what the trajectory of this project will be. If there were tags for this one, they would be: gender, bounce, new orleans, black and queer, sexuality studies, Judith Butler, queer hip-hop, and reflexivity. THE MUHS PROJECT. And now for something completely different, sort of – I’ve been working on a biographical archiving project since early this past summer. My subject is Marietta Muhs, an opera diva that grew up and out of New Orleans who landed in the NYC opera scene in the early-20th century. Obviously, this project leans towards the historical realm. I’m expecting this to take up quite a bit of time over the next several years. It’s a side project, but one that is allowing me to utilize the skills and resources I’m learning in my historical coursework. Tags here would include: New Orleans, New Orleans opera scene, Loyola U., NYC opera scene, and women in the 1950’s. Global hip-hop. Also a side project, it seems like for every regional topic class I take which requires a massive term paper/presentation at the end, I’m drawn not just to popular music, but to hip-hop. I’m currently researching hip-hop in South Africa and will be presenting on it sometime in the next few weeks in class. I’ve also delved into Indonesian and Indian hip-hop, and guest lectured a few times on Indonesian hip-hop over the past year. I’m also interested in hip-hop artist refugees coming out of various African war zones (e.g. Emmanual Jal). These things are constantly evolving, so I’m finding that social networking allows me to stay up-to-date with artists and genres without having to actively search them out after I’ve done the initial research. Anyway, I just added this bullet because it seems to be a recurring theme in my life at the moment, and I have a feeling that something will come out of it eventually. Of course it also links to the research I’m doing on hip-hop in NOLA. Next year’s SEM/AMS/SMT mega conference is in New Orleans and I have a few pertinent topics, above, that I could attempt a paper submission for (though acceptance of the younger grad student papers is rare). I think that even though my thesis research is on street musicians, I’m eyeing NOLA Bounce as the topic I’d like to present on at SEM (though my abstract would likely be trashed at first sight). Anyway – my thesis includes sonic mapping of street musicians, and I could come up with a great “field trip” handout for people to go and see these soundmarks live since the presentation would be in New Orleans… much to think about. Not a lot of time to do it in. 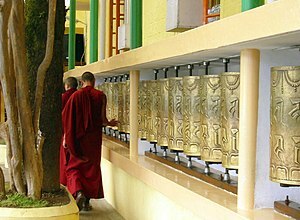 Lastly, if you’ve followed this blog at all in the past few years, you probably know that my eventual dissertation topic will be music in the Tibetan community of Dharamsala, India. Most folks who study Tibetan music tend to lean towards music for Buddhist ritual and traditional genres. My goal (big shock here) will be popular music – perhaps working with Lobsang Wangyal who organizes the Tibetan music awards from McLeod Ganj. With that said, I’ve also been peeking at the music of Bhutan and Nepal. Obstacles = language, money, accessibility, government regulations. Working on that. Anyway – that’s my list of current projects and their potential trajectories. As for the day-to-day, it currently involves a giant stack of grading, 2-3 books to read per week, and as usual, hanging with the most fabulous musicologist-friends on the planet. By Saturday, I hope to make another post that illustrates how absolutely awesome the SEM conference was in Philadelphia last week. In less than two weeks I’ll be heading to Manchester, Tennessee with over 80,000 other folks in search of “an experience”. This year I’m not attending as a patron of the festival, but as a vendor. Ten of us will be assisting over 500 people in building their own drums. I’m holding my breath, because I already know that this is going to be one of the most physically demanding four days I’ve had in years. From a simple wood shell to slap, tone, and bass, you’ve heard me talk about this process before if you’ve read my blog in the past six months. If not, you can see my post about drum building in the related articles at the end of this post. I decided tonight that it was time to look at the festival lineup. No, I hadn’t done this yet except to say that I knew Robert Plant was performing. I heard his set at Jazz Fest, and if I get close enough at Bonnaroo to lick the ground he walks on, I just might. Ok – maybe not, but I like him. A lot. You do get that, right? … So, who else do we have this year that bleeps on my radar? Eminem. Buffalo Springfield. Bassnectar. GirlTalk. Alison Krauss. Old Crow Medicine Show. G. Love. Loretta Lynn (Yes, I’m leaving out the New Orleanians on the list so throw me to the gators, into a vat of erl or berlin’ water, or make my mama slap me… – and there are several, but as I’ll be working 95% of the time, I have to pick and choose my battles wisely – I’ve seen most (if not all) of the New Orleanians live). I’m excited. Even if I don’t get to see any of the above artists (though I’m sure I’ll slip into a few sets), the drum building process is so therapeutic for me. I love it, and this weekend will certainly test just how much I love it. From an ethnographers’ (let alone ethnomusicologists’) point of view, this is something very unique – being part of a massive effort to create musical instruments – to enable revelry, debauchery, healing, musicality, and everything else that comes as a result of it… is magical. Yes, I will be documenting, taking field notes, photos, and video as much as possible. 500 drums in four days with an amazing live soundtrack while I work… talk about a soundscape… talk about an ethnomusicologist in heaven. The next question is this – what the hell do I bring? That’s all for now. Cheers, y’all. 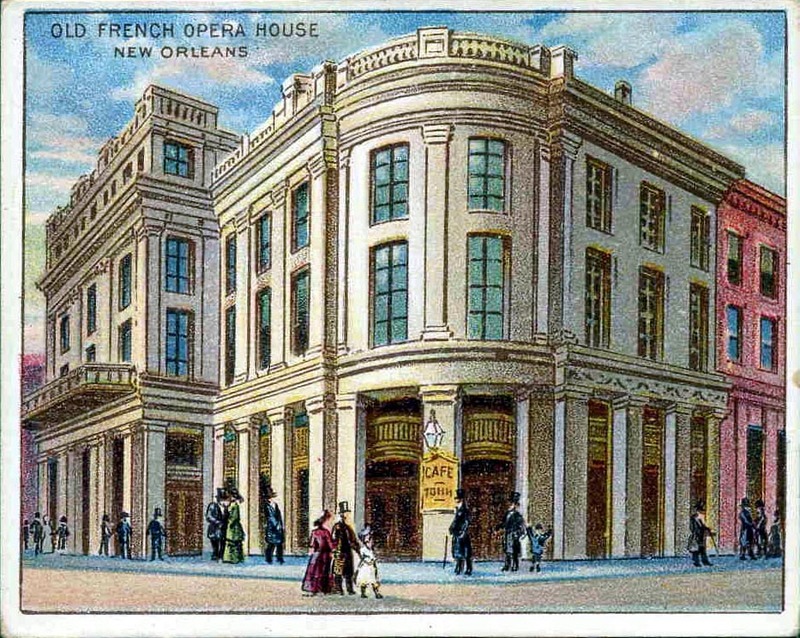 As many of you know, last year I inherited a small archiving project of and relating to New Orleans opera in the mid-1900’s. As of two days ago, this “project”, which has consisted of a giant box of mildew-scented newspaper clippings, has come to life. (Immediately I feel a rush of “GAH!” as I realize I have no clue where to start.) I have yet to take an archiving course, although I hope to at some point, even if it has to be a DIS. Regardless, I need to invest in some texts or friendly conversation with those “in the know” regarding the methodology. So… I have a giant box of old newspaper clippings. Now what? I suppose I should talk about the clippings for a moment. I inherited the box from a music library in New Orleans which didn’t harbor the means/resources to give it the time of day. It had been given to the library as part of an estate and I can only assume this is because the owner was getting on in years or perhaps passed away. So here I am. …no clue who the “owner” was (i.e. who assembled the box of clippings), or their relationship to the articles they clipped. The articles themselves range from 1930-1984, and they discuss two particular opera stars from New Orleans who rose through the ranks toward the Met, then came back home [to New Orleans] during their final years (from what I can see thus far). It’s not simply a survey of opera in New Orleans via media clips. It’s an intimate portrait of two particular people, as if a mother was saving every newspaper clipping of her rising star children. 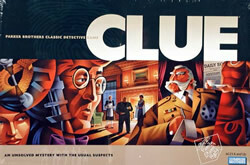 This is going be like the board game “Clue” for the next few weeks. Step one was to pull them out of the box and glance them over. I’m about halfway done with this step (there’s a few hundred articles and they’re frail – give me a break! ), and I have been taking notes as I peruse them: particular questions I’ll need to answer, people/places/dates that keep popping up, etc. Once I’m done with this, I suppose I’ll continue picking through and asking questions as I put them together chronologically. Then it gets tricky. I can further split them up via location, musician, opera, role, or even critic. After that I’m not quite sure which direction to take. I know there’s a story to tell here. I just have to unravel it. There are several things wrong with this statement, and perhaps Kantrowitz should check his sources before publishing such nonsense. Ethnomusicology doesn’t get nearly enough media as it is, and we certainly don’t need anything negative, nevermind when it’s blatantly incorrect. There certainly are far more than the two above occupations for those with a degree in ethnomusicology. Additionally the last time I checked, a degree in library science is necessary to be a librarian. Many ethnomusicologists do choose to pursue a career in academia as faculty. However, do they only “teach ethnomusicology?” Of course not – they are researchers and performers. They teach music classes that many other faculty are simply not qualified to do – including several genres of popular and roots music. In addition to world music survey courses, these courses tend to fill up with hundreds of students each semester, adding thousands of tuition dollars to the university pocketbook. What else do ethnomusicologists do? They work at publication firms such as National Geographic, at iTunes, at Pandora Radio and other major music ventures, at Billboard venues and other “top music lists”, at museums, at art institutes, at festivals as directors and coordinators, at the Smithsonian, at record companies including the Recording Academy, at archives, for governments as cultural consultants, as humanitarians, as arts consultants, as primary and secondary teachers, as arts administrators, in applied fields, as healers, as anthropologists and musical historians, as musical archaeologists, as performers, as publication editors, as authors, in studios,as independent researchers, in media studies, as a program director, grant writer, tour publisher/manager, festival publicist, a consultant to film score composers or video game developers, radio DJ, as travel journalists and photographers, or a military consultant… what about working for TV stations like PBS, NG, or Discovery? Eat that, NPR. At the end of the day, a lot of ethnomusicologists choose a less-than lucrative (usually) career in academia as university faculty, however the possibilities are endless. I don’t know any ethnomusicologists who are “in it for the money”. Ethnomusicologists are a rare breed, and have skills that the rest of the world needs whether they know it or not – we have the skills to discuss increased globalization and acculturation, cultural/spiritual sensitivity, and human diversity. I’m disappointed in NPR, a supposedly conscious public media outlet “on the side of the arts”. Where’s the love?